Mars was one of the most commonly worshiped gods in the Roman Empire, in part because every adult Roman male had some connection to the military. The month of March is named in his honor, and several festivals each year were dedicated to Mars, including the Feriae Marti. In early incarnations, Mars was a fertility god, and a protector of cattle. As time went on, his role as an earth god expanded to include death and the underworld, and finally battle and war. He is known as the father of twins Romulus and Remus, by the Vestal virgin Rhea Silvia. 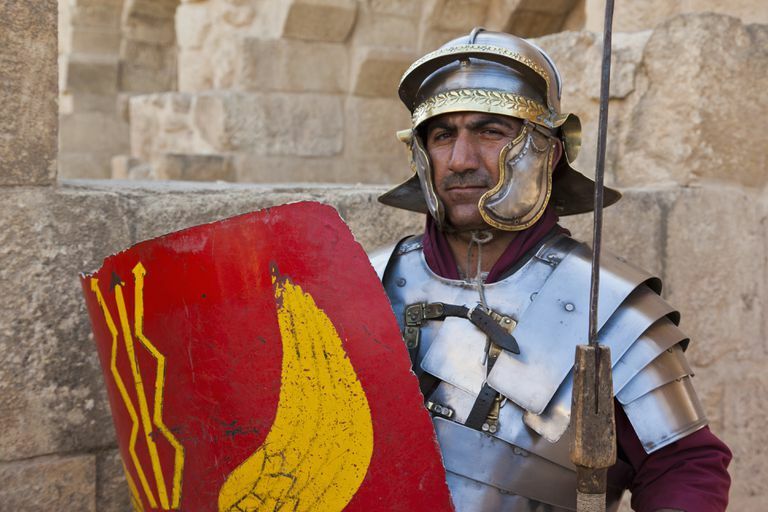 As the father of the men who later founded the city, Roman citizens often referred to themselves as "sons of Mars." Before going into battle, Roman soldiers often gathered at the temple of Mars Ultor (the avenger) on the Forum Augustus. The military also had a special training center dedicated to Mars, called the Campus Martius, where soldiers drilled and studied. Great horseraces were held at the Campus Martius, and after it was over, one of the horses of the winning team was sacrificed in Mars' honor. The head was removed, and became a coveted prize among the spectators. The month of March is named in his honor, and several festivals each year were dedicated to Mars. Each year the Feriae Marti was held, beginning on the Kalends of March and continuing until the 24th. Dancing priests, called the Salii, performed elaborate rituals over and over again, and a sacred fast took place for the last nine days. The dance of the Salii was complex, and involved a lot of jumping, spinning and chanting. On March 25, the celebration of Mars ended and the fast was broken at the celebration of the Hilaria, in which all the priests partook in an elaborate feast. the offering of these suckling offering." Early Roman writers associated Mars with not only warrior prowess, but virility and power. Because of this, he sometimes is tied to the planting season and agricultural bounty. It is possible that Cato's invocation above connects the more wild and frenzied aspects of Mars with the need to tame, control and defend the agricultural environment. The third month of the calendar year, March, was named for Mars, and important ceremonies and festivals, especially those related to military campaigns, were held this month in his honor. Mark Cartwright of Ancient History Encyclopedia says, "These rites may also have been connected to agriculture but the nature of Mars' role in this area of Roman life is disputed by scholars."